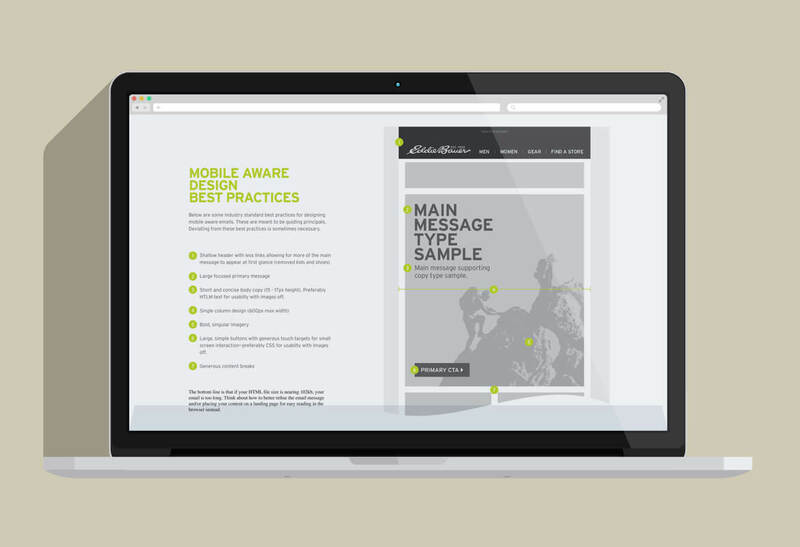 The homepage is your company’s face to the world. 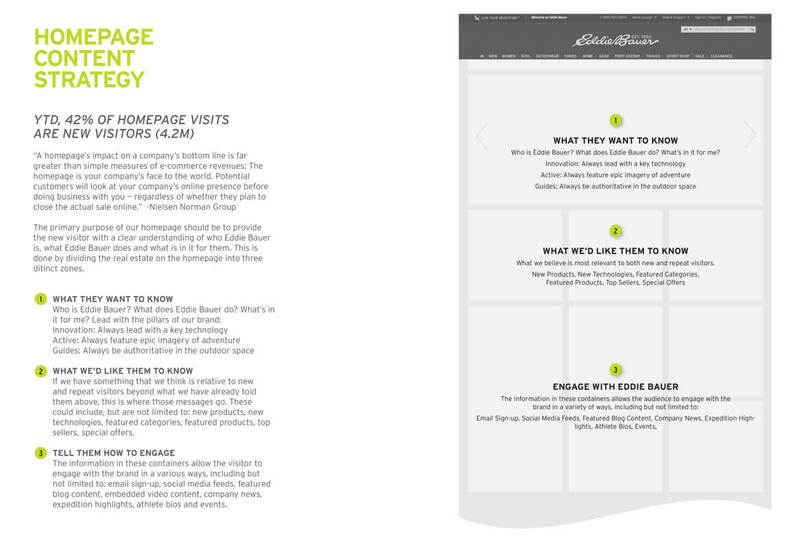 This strategy document was created to provide a roadmap for homepage messaging hierarchy and integration of user generated and social content across the site. 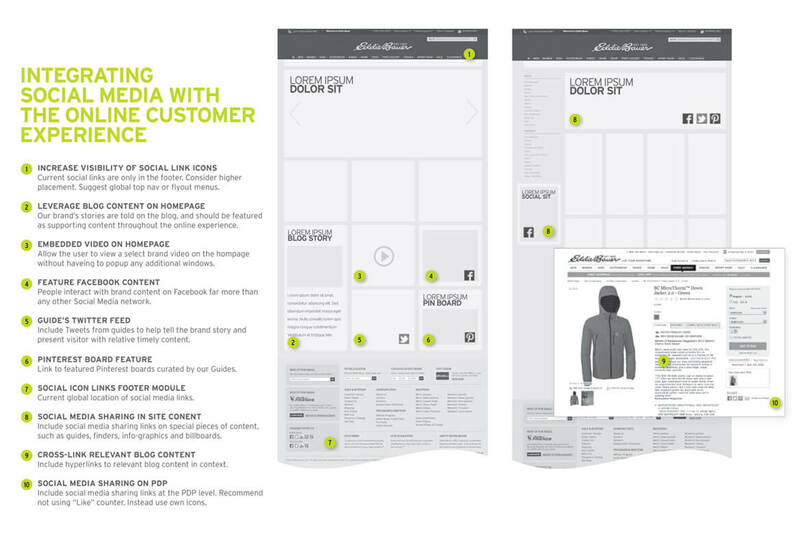 The homepage content strategy breaks down into three main areas: what they want to know about Eddie Bauer, what we want them to know about Eddie Bauer, and how to engage with the brand. Integration of social and user generated content across the desktop site is highlighted by featuring relevant stories in the shopping path, social sharing links where appropriate, and feeds.